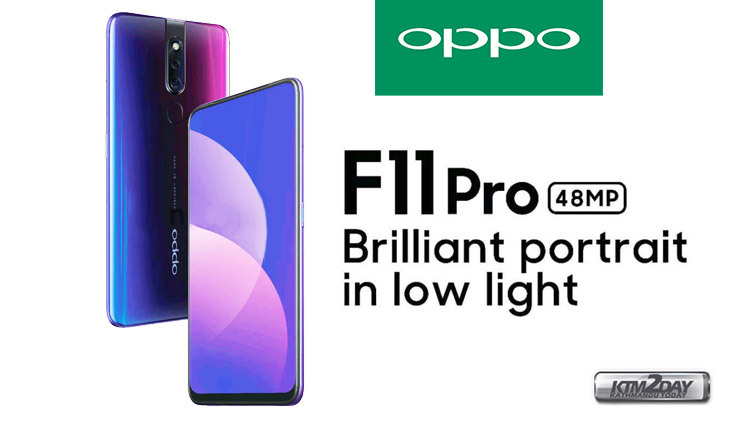 OPPO F11 Pro has been unveiled in preview from a print render published by the well-known 91mobiles website , confirming the presence of the retractable front camera and dual 48 MegaPixel rear camera. The print rendering allows us to be able to observe in detail the design of the smartphone, confirming the presence of a dual rear camera with a main sensor of 48 MegaPixel flanked by a second sensor with specifications still unknown. In addition, OPPO F11 Pro should be equipped with a 32 MegaPixel concealed front camera , allowing it to be hidden when no use is required. According to the latest rumors, the device should be characterized by a MediaTek Helio P70 processor flanked by 6 GB of RAM and 128 GB of internal memory. OPPO F11 Pro , according to the latest rumors, should have a launch price of about 300 euros , you just have to wait for the official presentation that will take place on February 20 , the day in which the new Samsung Galaxy S10 will also be presented.